The map is a resource for Sonrise Christian Families and friends to discover a place to worship, pray, play, and grow together! Share it! It includes additional resources for families in need: food, shelter, and counseling. "A place for every person to come experience a growing relationship with Jesus Christ." We offer ministry for families blessed with children with special needs. A small and loving community home-church model. Foursquare Denomination. Our mission: "a fully devoted follower of Jesus in every home in the San Gabriel Valley and beyond." 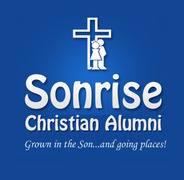 Spanish service is on Sonrise Christian Campus. "We are a multi-generational family church with a vibrant children's ministry." "By The Anointing of The Spirit of Lord, We are commissioned to transform the world for His Glory through: Preaching Good News, Setting The Captives Free, Performing Miracles, Signs and Wonders, Living Abundant Life, Ushering Revival into The Land." Infant Care, Children's, Youth programs. Indonesian, Chinese. "Our vision is building a multigenerational congregation to reach our 1st, 2nd and 3rd generation of hispanic population." "We are strong on teaching and preaching God's word and the salvation he offers us through faith in Jesus Christ." "sharing the love and the Gospel of Jesus Christ to those at home and to all the world. Strengths: The Word of God (the Bible) being taught here for all age groups." "An authentic, bible based, non-denominational Christian church where you will look forward to worshiping God every Sunday morning, and desire to grow in your walk,"
Both Sunday services include a Children's Sermon, followed by Sunday School for children through 6th grade at the 10:00 a.m. service. "helping people grow closer to God"
:Loving God and Loving People"
"To develop and nurture in people a passion for God and a heart for the world." Combined summer worship service 10am. "A warm, welcoming, and vibrant community." Our worship is modern and contemporary. We sing songs from Hillsong, Jesus Culture, Vineyard Music, Chris Tomlin, and more. Do you have kids? Don't worry. Foothill Vineyard Church offers Sunday School programs from infants to Sr. High. We exist to glorify God by developing committed followers of Jesus Christ who attract others to Him. Everything we do at Grace is meant to accomplish this mission. Our ministry is Christ-centered and Bible based. We can't wait to meet you! "a community of people who desire to follow Jesus’ invitation to a better way of living, an invitation that includes communion with Himself, community with others, and commission to the world." "Working together to bring those far from God near Him through Christ." Tuesdays @ 7pm - Youth Group in the Fellowship Hall. Village is a place where no one feels isolated or alone. Covenant is our heritage as a biblical, compassionate & missional community This corner is our place to worship, fellowship, and reach out to the neighborhood community, and renew our spirits continuously. "to see the Glory of God revealed through proclamation and deeds to all people in all places for their boundless joy and His greatest glory. (626) 917-0743 or email info@westcovinacc.com. "opening doors wide so more may enter through the narrow gate" come as you are! "I have heard it said that it only takes one therapist to change a light bulb, but the light bulb has to really want to change. Naturally, my best results are with motivated people who realize their current patterns aren't working and are willing to try something different. I have experience with adolescents, adults and mature adults. While my religious background is Christian, my clients come from all religious backgrounds, and sexual orientations. My intention is to walk the talk and my experience as a husband of 39 years, a father, and a grandfather, add to my therapeutic offering." "A ministry of justice means giving back to people what was taken away from them. People find grace and mercy within these walls. I am not here to judge or condemn. I will be honest but never judgmental. People are safe here, they change from the inside out." Specialty: marital or family difficulties, sexual addiction, or adolescent problems, severe depression and suicidal ideation in adolescents and young adults.